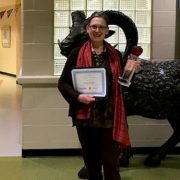 Mrs. Schauffler is a media specialist at LHS and brings many wonderful programs to our students! Congratulations on being our employee of the month! Congratulations to Margaret Demasi and Joshua Findley for being selected Seniors of the Month for November 2018. 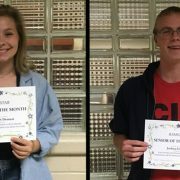 Maggie and Josh were nominated by staff members as two students that are accountable, diligent, caring and enthusiastic. You truly embody what it means to be one of the R.A.M.S. of Lafayette High School! Go RAMS! Gaming Club will NOT meet today. Underclassmen photos will be taken during all blocks in the auditorium today and tomorrow. Students with last names beginning with A-L are today, and students with last names beginning with M-Z are tomorrow. Students will receive a pass in their AEP class for their assigned time slot. Seniors, your last chance to take Senior portraits is TODAY, from 3 – 4 pm. If you have not yet scheduled your photo session, please see Mrs. Napier in Room 415. If you have already scheduled your photo session, your time has been posted on the yearbook bulletin board outside of the media center. Your sitting fee of $20, $30, or $40 is due at the time of the photos, and is payable by cash, check or credit card. Tryouts for Indoor Track & Field will be announced soon. There will be a meeting for all students interested in swimming on Tuesday, Oct. 30th, in the upper commons, immediately after school. Mock trial will meet this afternoon in room 115. Are you interested in becoming a teacher, professor, corporate trainer or childcare worker? If so, come to the Educators Rising meeting today at 2:30 in room 415. The Eco Club will meet tomorrow, after school, in room 308. The first meeting of the Economics Club will be tomorrow, after school, in room 115. See Miss Consoli for more information. Underclassmen photos will be taken during all blocks in the auditorium on Wednesday, October 31 and Thursday, November 1. Students with last names beginning with A-L will be scheduled on Wednesday, and students with last names beginning with M-Z will be scheduled on Thursday. Students will receive a pass in their AEP class for their allotted time slot. Seniors, your last chance to take Senior portraits is this Wednesday, October 31, from 3 – 4 pm. If you have not yet scheduled your photo session, please see Mrs. Napier in Room 415. If you have already scheduled your photo session, your time has been posted on the yearbook bulletin board outside of the media center. Your sitting fee of $20, $30, or $40 is due at the time of the photos, and is payable by cash, check or credit card. There will be a meeting for all active members of the Spanish National Honor Society on Wednesday, October 31st, after school in room 302. We will be discussing volunteer hours and involvement, cultural activities, and the election for Vice-President. See Senora Ward if you have questions. Coach Mel Jones has had an incredible impact on our school community. 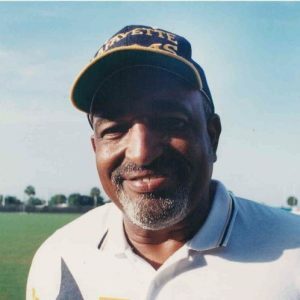 He served as a teacher in WJCC Schools and has coached track and field for the past 45 years. During his time leading the indoor and outdoor track & field teams, our student athletes earned 47 District championships, 20 Regional championships, and 5 State championship titles. While his primary passion was track & field, he was also a member of our football staff throughout the years, even serving as head coach of the Rams at one time. LHS is hosting a Sports Physical Clinic this evening, from 5 – 7 PM. Student-athletes who would like to receive a physical must bring a completed and signed physical form and $20. We will begin accepting paperwork and money at 4:30 in the gym hallway. Remember, students interested in participating in a winter sport must have a completed sports physical before tryouts begin on November 5th. There will be a meeting for all students interested in swimming on Tuesday, Oct. 30th, in the upper commons at LHS immediately after school. Juniors and Seniors: College visits this week include Elon University, Virginia Wesleyan University, and Mary Baldwin University. Register on the LHS website to receive a pass to attend. The first meeting of the Economics Club will be on Wednesday, October 30th, in room 115. The club will promote the transmission of information and highlight competitions that can lead to awards or recognition. See Miss Consoli for more information. All students interested in participating in girls’ basketball are encouraged to attend the basketball interest meeting after school today, at 2:30 pm, in the main gym. Don’t forget about the College and Career Fair at Warhill High School tonight from 5:30 – 8:00 pm. There are over 100 colleges, universities, businesses and organizations looking forward to meeting you! See counseling for more information. Math Honor Society will have a mandatory meeting tomorrow after school. Please check on the door of room 401 today for a list of accepted members, and the correct dues to be collected. Interested in Economics or want to know more about it? Come to the first meeting of the Economics Club on Wednesday, October 30th, in room 115. The club will promote the transmission of information and highlight competitions that can lead to awards or recognition. See Miss Consoli for more information. 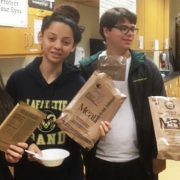 Mrs. Crowley’s chemistry students study exothermic and endothermic reactions with MRE meals. All students interested in participating in girls’ basketball are encouraged to attend the basketball interest meeting on Thursday, October 25th at 2:30 in the main gym. Don’t forget about the College and Career Fair at Warhill High School tomorrow evening from 5:30 – 8:00 pm. There are over 100 colleges, universities, businesses and organizations looking forward to meeting you! See counseling for more information. Math Honor Society will meet Friday, Oct 26th, after school for a brief meeting. This meeting is mandatory and dues will be collected at this time. Please check on the door of room 401 on Thursday for a list of accepted members, and the correct dues to be collected. Adult and student tickets for the Warhill football game will be sold near the main entrance at Lafayette today during all lunch shifts. Adult tickets are $6.00 and student tickets are $3.00. Students must enter the game from 6:15-6:45 or you will have to pay the full admission price of $6.00 to get into the game. One student ticket per person, please! On Thursday, Oct. 25th, from 5:30-8 pm, there will be a district wide College and Career Fair at Warhill High School. There will be over 100 colleges, universities, businesses and organizations that are looking forward to meeting and working with students. If you have any questions, stop by the counseling office.